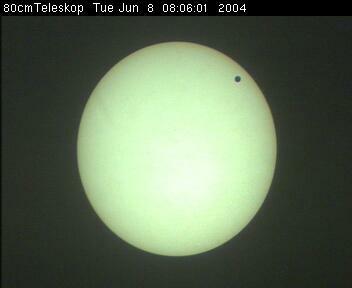 Latest Comment (June 8, 05:58 UT) : Look at the AU display above! We are now getting the first calculations of the distance from the Earth to the Sun - and they are not all that off! 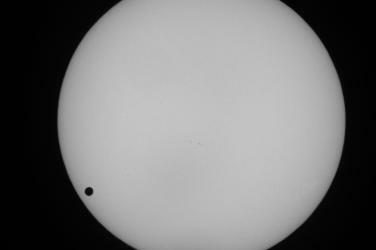 There are now reports that observers in different places have seen the dark spot of Venus through special sun viewing glasses, without any telescopic aid. 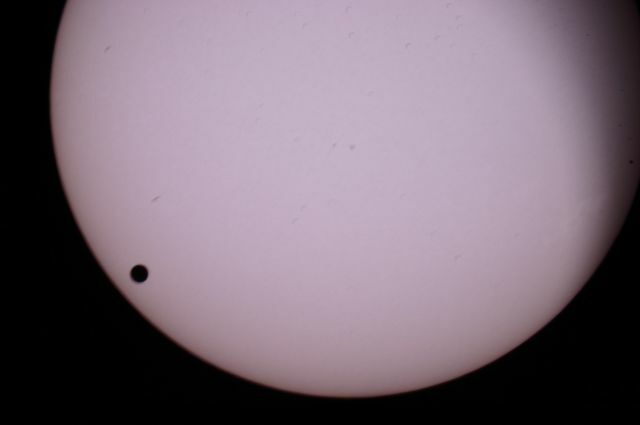 It is obvious that there are rather few sunspots at this moment, so images during the next hours in white light will show Venus' black disc on a quite uniform background. The VT-2004 website is now experiencing about 1500 hits per second (90,000 per minute) - 220 Mbits/sec!